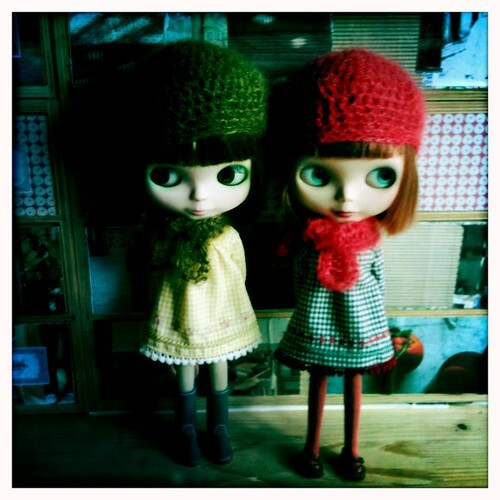 Lotte & Merry, a photo by little_moshi on Flickr. Hopefully if the day is not too dark I will be able to take some photographs and update the shop tomorrow. Monday will also be a big posting day now that my new cellophane bags have arrived. Some more 70's inspired outfits and some classic moshi-moshi too.